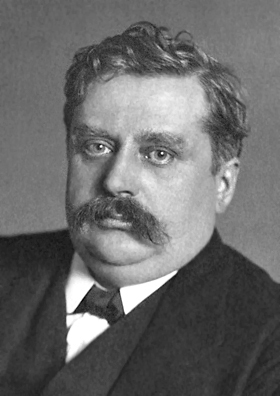 Alfred Werner put forward his famous Coordination Theory to explain the formation and structure of Coordination Compounds. (i) In Coordination Compounds the metal atom exhibit two types of valency, viz. Primary Valency, Secondary Valency. The Primary Valency is ionisable and nondirectional whereas the secondary valency is nonionisable and directional. The primary valency corresponds to oxidation state and the secondary valency corresponds to the coordination number. (ii) Every metal atom has a fixed number of secondary valency, i.e, it has a fixed coordination number. (iii) The metal atom tends to satisfy both its primary and its secondary valencies. Primary valencies are satisfied by negative ions whereas secondary valencies are satisfied by either negative or neutral or positive ligands. (iv) The secondary valencies are always directed towards fixed position in space and this leads to definite geometry. E.g., If a metal ion has six secondary valencies, these are arranged in octahedral manner around the central metal ion. If the metal ion has four secondary valency, these are arranged in either tetrahedral or square planar arrangement around the central metal ion. The secondary valencies thus determine the stereo chemistry of the compound. That really means a lot to me. Thanks for reading. thank you for the easy explanation.